Speightstown Barbados ... its interesting old streets are fun to explore. Speightstown Barbados, is the second largest town on the Island located about twelve miles North of Bridgetown, in the North Western Parish of St.Peter. 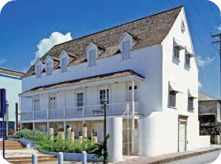 Speightstown was settled around 1630 and was in those days the major port and commercial center of Barbados. The little town got its name from William Speight the owner of the land where the town is located. He was a wealthy businessman that would go on to become a member of the first Barbados parliament in 1639. In its long history Speightstown repelled the only invasion of Barbados ever attempted. There were a number of small British military forts dotted in and around Speightstown that helped in its defense. Orange Fort was located in the center of town where the local fish market is now located. Close by were Fort Denmark (where the new Speightstown Esplanade is located today) and Dover Fort that protected the town from the overlooking cliff to the East. The Heywoods Battery was situated North of todays Speightstown. There are some historic buildings dating from colonial times such as Arlington House that was very recently turned into a museum. 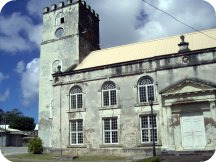 St. Peters Church and many of these old buildings that are still standing in Speightstown can be found mainly along Church Street, Queen Street and Orange Street. Speightstown is a lovely place to wander around, although the first impression might be that it is run down and neglected. It still has the look and feel of the past and that stirs the imagination of what the past must have been like. There are some fine dining spots here that are really worth checking out my favourites are, the Fish Pot restaurant and Mangos by the sea, they fine dining and you should make reservations. While in Speightstown drop in to the fishermans pub and have some real Barbadian food and a Banks beer.